Card payments company Handepay collaborated with a street of innovative traders in Manchester on Saturday 21st June to banish cash payments for one day, turning away hard currency and only accepting card payments. The experiment proved a success, not only with businesses whose turnover on the street increased by an average of 22%, as they conducted an average of 28% more card transactions than normal, but also with consumers who packed the street all day and well into the evening. The controversial move to ditch cash was triggered by research that showed almost half of all independent retailers who are still unable to process card payments are missing out on trade, as better equipped chains scoop up money that could have been spent with them. With £46bn spent on cards in April 2014 alone and customers carrying less hard cash in their pockets, the social experiment successfully proved that taking cards increases footfall (opportunity to spend), increases basket spend and improves overall customer experience. 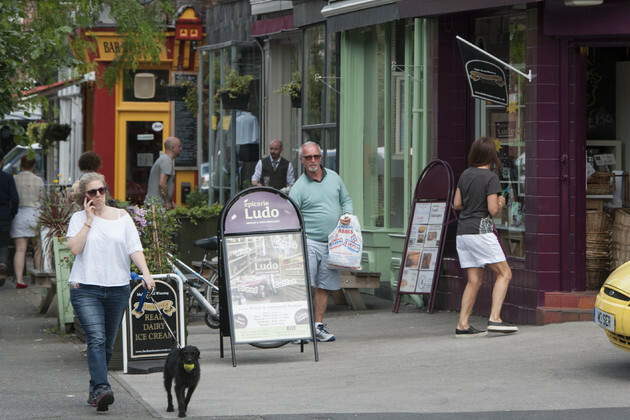 With physical currency predicted to be obsolete within 20 years, Handepay chose traders on Beech Road, Chorlton, Manchester to stage their social experiment due to the sheer number of independent traders on the street. The activity was designed to evaluate how shoppers and traders feel about going cash free and to find out if turning away cash increased basket spend or saw lost sales? The experiment lent support to research by the British Retail Consortium that last month revealed that cash use has dropped 14% in the past five years due to consumer preference for spending on card. Shoppers surveyed on the street during the cashless experiment revealed their changing spending habits, with 60% saying they had left a shop in the past because they couldn’t pay by card and 53% stating that they would shop local more often, rather than in supermarkets or out of town malls, if they knew they could pay by card everywhere. The average number of times these shoppers use their plastic each day is 2.5 and those surveyed were only carrying an average of £19 in cash in their purses and wallets. However, just 43% believe that we are actually ready to become a cashless society. With the nation’s high streets fighting to keep their heads above water, the business owners of Beech Road were keen to take part, seeing it as a way of keeping closer to their customer base by offering the latest and most convenient payment methods, including contactless payment. Mark Latham, product and innovation director at Handepay - which supplies more than 22,000 businesses across the country with card payment terminals - comments: “There is now an expectation that card payment is available everywhere – it takes us aback as consumers if it isn’t. Switched on business owners love it too as it cuts down on queues, reduces lost sales and gives them more time to interact with their customers. All evidence shows that consumers spend more, too, as they are no longer limited to just the cash in their pockets. “Yet almost half of all independents are opting out. Literally watching money walk away. “We never expected that we would discover we're ready to give up cash just yet, but we're delighted so many independent businesses took the opportunity to engage their customers about how they like to spend. “The future for the local high street is in making it as easy as possible for customers to shop there – we’re carrying less cash in our pockets than ever before, yet more than half of small businesses still don’t take card payments. That's what the cashless street was all about."